One of the simplest ways a lot of people will start their search for a new Buick is to sit at a computer or pull out their phone and type in “Buick dealership near me.” That is certainly not a bad place to start, but what do you do once your search engine of choice spits back a few hundred or thousand pages of results? In that moment the car-buying process can quickly begin to feel overwhelming and knowing what to look for becomes so very important. That is why we are proud to be the Buick dealership near you that is here to answer your questions and help you find exactly the right vehicle for your lifestyle. You are probably going to look at quite a few different Buicks before you make your final decision on the right vehicle, especially if you are not sure exactly what car or SUV would meet all of your needs. But what you might not realize is that finding the right dealership is just as important as finding the right model vehicle. The right dealership has staff members who can answer your questions, guide you through the selection process to pick an SUV or car that fits your needs, and help you with figuring out financing and future service options. That’s what we do, because we believe that buying a new car, truck, or SUV should be a positive experience that leaves you feeling excited for your new vehicle. The old cliché about aggressive salespeople and feeling uncomfortable when buying a car is something you should never put up with when you go to a dealership. At Carl Black Roswell we pride ourselves on providing you with a different type of experience, one in which you know you are the focus and your needs are met. We don’t believe in pushy sales tactics or high-pressure situations. 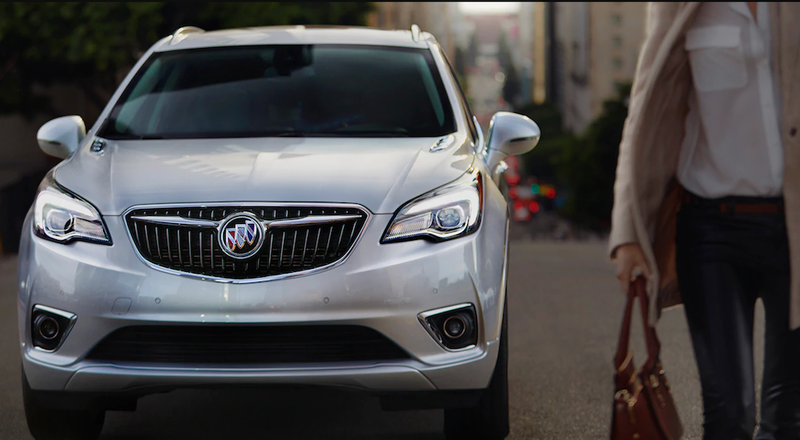 As the best Buick dealership near you, we believe in a customer-first experience where you feel comfortable and listened to every step of the way. From the moment you walk onto our lot to when you drive away happy, the most important thing to us is that you get the right vehicle for you. Our knowledgeable salespeople and staff are here to answer your questions, help you figure out what kind of car or SUV is right for your lifestyle, and work with you to find financing that you’re comfortable with before you drive away. We have a huge selection of brand new Buick cars and SUVs, as well as GMC trucks if that ends up being something you’re interested in. A large inventory is important when you’re car-shopping since it means you have more options and a wider range of vehicles to consider and look at before making a selection. Such an expansive inventory also means you have a lot of “trim” options and possibilities for customization available to you, and having more options is always a good thing. While brand new cars and SUVs are great, at Carl Black Roswell we also have an incredible selection of used vehicles to look at and choose from. There are numerous reasons to choose a used model over something fresh from the manufacturer, and the right choice will typically come down to what you’re looking for, your needs, and the kind of financing that best fits your lifestyle. Just like with new Buicks, a wide selection means you are free to look at many different models and see what’s available before making any kind of choice on the right ride for you. In fact, a huge selection of used vehicles at the Buick dealership near you can actually be more important than when looking at brand new cars and SUVs. One of the potential drawbacks of picking a used vehicle is that you often have fewer customization options than when looking at new models that have lots of trim choices available. But our large selection of used vehicles means you are more likely to find an option or upgrade than if you look through a trade website or go to a smaller dealership with a more limited inventory. A lot of customers dread the potential of dealing with financing, and we understand that. Going to a bank to ask for a loan is right up there with root canals and visits to the Department of Driver Services in most people’s list of fun ways to spend a Saturday. That is why we have experienced and knowledgeable salespeople and staff members who specialize in helping you through the financing process and coming up with a result that works for you. When you come to the Buick dealership near you, you should expect to be able to drive away with the right vehicle with financing that fits your lifestyle. This is not a process that you have to undertake by yourself and hope for the best – we’re here to help you with every step and make sure you understand exactly what is happening. We are always happy to answer all of your questions before, during, and after any financing process. By working with you, we can help remove some of the confusion and dread that many people associate with dealing with any kind of bank financing or loan approval. Just like choosing a vehicle, it is important to ask questions and make sure you understand how your financing will work, so that you can drive away confident in the knowledge of how, when, and where you will need to make payments in the future. 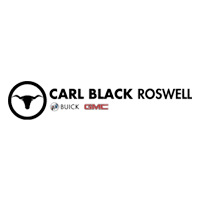 At Carl Black Roswell, we don’t just pride ourselves on being the Buick dealership near you that can help you choose a vehicle and then say goodbye. We believe in long-term relationships with our customers for years to come, which is why we also provide numerous services for maintenance and upkeep on all the vehicles we sell. As far as we are concerned, when you drive off our lot our relationship with you has only just begun. You can bring your vehicle back for many different types of servicing and maintenance, and drive away again with the same confidence you had when you first left our lot. We also include parts replacement and ordering services if you need a particular part that you might not be able to find elsewhere. It is all part of our focus on making sure you are happy with your experience, and the culture of meaningful, long-term relationship for work, you’ll have plenty of time to get your vehicle serviced. Even if you haven’t come to Carl Black Roswell, by being a part of the community we already care about our relationship with you. That’s the difference between us and some dealership two states away that just wants to push a car onto you and call it a day. As your local “Buick dealership near me,” we believe our role is to not just sell cars and SUVs, but to make the community better for all of us – customers, friends, and neighbors alike. That community focus is a part of what drives us to deliver excellent customer service and ensure that everything we do makes Roswell and the area around it a great place to live, work, and play.